Yes, Chia, very well said. Over the weekend, Pitt managed to get commitments from some of our "targets." I think Charlie Partridge's connections to FL have really helped them in recruiting down here. These targets include: Brandon Hill, Calijah Kancey, and Vincent Davis. Yes sir, thrilling to hear we have been steadily losing these recruiting battles. Just the kind of news that really picks a person up. In marked contrast, the Tayland Humphrey saga WAS intriguing, for all sorts of reasons, as was the news that we were trying to bring in a kid who had bitten off a teammate's ear, for a different set of reasons. I have no problem with you guys posting the news that an unranked or middle of the pack kid has visited campus recently only to sign somewhere else--as I first said, it is summer and what else is there to talk about--but to pretend that such a thing is really, really important? I don't see a single thing in this thread that suggests the cast of characters who have strolled in recently are in any way indicative of a sea change in our ability to attract recruits of a higher caliber than in the past. Now of course maybe one of you Larry Blustein acolytes will be quick to tell me just how much one of the aforementioned (IN THIS THREAD, PLEASE) and his visit to our campus really matters, and God bless you in advance if you go to that trouble, but I was unable to pick up such as I read through those posts. Meantime, sheesh, you'd think I was boosting South Paw and his CA stat sheet. Every recruit I listed in this thread is at least a 3-star player. This time last year we didn't have any commitments either. Fair enough. Go back to sleep. I'd say any time we have a 4-star visitor, that says something. We're in a recruiting dead period now until July 24. This means recruits can't visit campus or meet with coaches. I'm thinking things will probably pick up fairly quickly after the dead period and before the start of the season. FIU has recently offered Diamante Howard, a consensus 3-star OLB from Southridge. In other news, things have been slow lately. Some of our "targets" have committed elsewhere. This is starting to remind me of last year, which didn't turn out too bad... It would be nice though to see 1 or 2 big recruits commit to bring some momentum to the class. Yes, we are shooting "big" right now, which means we are going against a ton of P5 schools recruiting-wise. Of course, we are going to lose many of them, especially this early, but we hope to win some as well. Also, it's still way too early and all the relationships our coaching staff are developing right now will eventually pay off, sort of like last year's class. In Butch we trust. Seconding Fanatic. Butch & Co clearly want to build on last year's class, and are targeting a similar caliber of athlete. That means more competition for those players, but I trust in the staff's ability to bring them in. These guys brought in one of the top G5 classes in the country last year, another good season and the continued cultivation of relationships should see it happen again. Don't get me wrong. We are clearly going after some studs, which I love to see. It just would be nice to see us land some guys early in the period to get some momentum going. Of course, at the end of the day, it only matters who signs. I loved the way we closed the period last year. I hear you, would be nice to see a few more strong commits, but it is early. So spoke with Fanatic about the pace of recruiting. He pointed out our first commit didn't come in till 7/26 last year, and we only had ten commits up until November. As we all know, the coaching staff finished strong. Just some perspective. 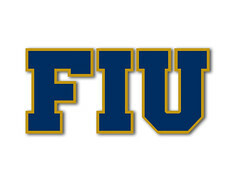 He holds an offer from FIU. Just a couple of thoughts concerning recruiting. 1. Now that Coach Davis has secured some very high profile recruits for the upcoming season, understand that recruiting is like winning - once you begin, it becomes a (good) self fulfilling prophecy. Better recruits lead to more winning which leads to even better recruits and more winning ... Coach Davis secured, easily, the best class we have ever had - this following an 8-4 regular season. We will be a more deeper, talented and better team this upcoming season. Nine wins are, in my estimation, very likely. 2. Trust Coach Davis' eye for talent - there are few if any as shrewd as his. Guys that were "2 Star" recruits (that he brought) to previous schools turned out to be NFL talents. He has already has hit on 2 "two star jackpots" with Shemar Thornton and Bryce Singleton. There will be some in the 2018 class as well. In other words, we are not just trying to replace graduating talent but instead, are ACCUMULATING depth AND talent. 3. Remember - Coach Davis always keeps a couple of scholarships in his back pocket and thus far has used on them on players like C.J. Worton and Kiy Hester - potentially big contributors to this year's team and aren't even "counted" as part of the best (2018) recruiting class in C-USA. So this class might be even better than we think. 4. Lastly, be patient concerning the 2019 class. Coach Davis is biding his time and is going to produce an even better group than this year's class. The success of this year's team will lead to more 4 star and possibly 5 star players in the very near future. Butch Davis is the best thing that has happened to our football program and FIU sports in general. Hold on boys - this is going to be fun season!